Call 1-800-579-0580 for our price or use this form. The most up-to-date source for filter application information is the electronic auto/light truck cross reference guide on the AMSOIL website. All EaOM oil and air filters are included. Be sure to see the new air filter element in this line also. 2-Microns! Supporting data: Correlation between particle size and engine wear. AMSOIL TSB. The unique construction and full-synthetic media of AMSOIL Ea Motorcycle Oil Filters allow them to provide unmatched performance in motorcycles and other power sports equipment. EaOM Filters last longer, stop smaller dirt particles and offer less restriction than other filters. Ea Motorcycle Oil Filters provide filtering efficiency of 98.7 percent at 15 microns, outperforming the best cellulose/synthetic blend media on the market. Proper oil flow is essential to keep moving parts lubricated at all times. A filter without adequate flow properties can cause catastrophic engine failure. AMSOIL EaO Filters are guaranteed for twice the manufacturers interval or one year, whichever comes first, when used in conjunction with AMSOIL Synthetic Motorcycle Oils in normal service. This Coincides with the oil drain interval of the Motorcycle oils, adding even more convenience for riders by consolidating routine maintenance. EaO Filters are now also available for most automotive, RV and truck owners and are recommended for 25,000 miles or one year, whichever comes first, when used in conjunction with AMSOIL Synthetic Motor Oil in gasoline and diesel vehicles in normal service. They are guaranteed for 15,000 miles for severe service. up to two times longer than OEM recommendations for commercial units, fleets and RVs using diesel fueled engines, not to exceed 60,000 miles for heavy-duty on-highway diesel applications. 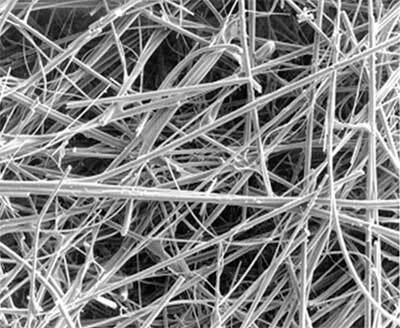 Above: Advanced Full Synthetic media. 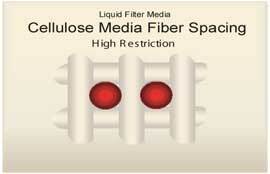 Small, consistent fibers trap smaller and hold more contaminants: restriction is lower. How long do EaOM Oil Filters last? EaO Filters are guaranteed for twice the manufacturers recommended interval or one year, whichever comes first, when used in conjunction with AMSOIL Synthetic Motor Oil. AMSOIL recommends changing the oil filter at the time of oil change. Can I still purchase AMSOIL SMF Filters? AMSOIL SMF Filters will be available while supplies last. They are no longer available for online purchase. 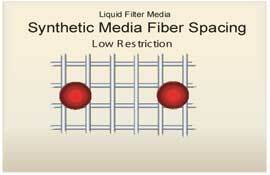 Why are the SMF Filters being phased out? 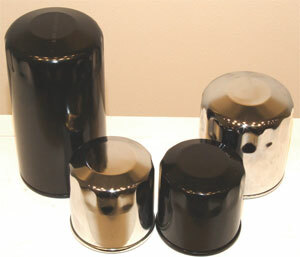 AMSOIL is continually searching for new and innovative technologies to enhance its product line. With the advent of the nanofiber filtration media, AMSOIL desired to be on the cutting edge and provide the most innovative oil filter technology in the motorcycle market. Will SDF Filter warranties still be honored? Yes, if an SDF Filter is deemed defective in accordance with the AMSOIL filter warranty, AMSOIL will replace the defective SDF filter with a comparable EaO filter or will credit the customer’s or Dealer’s account for the purchase price of the SDF filter. Don't forget to review the new AMSOIL Absolute Efficiency Air Filters for Harley-Davidson owners. If you are in the mood to save money, see how much time and money you save with these. They are incomparable!